Going to an auction for the first time can be daunting, especially if you don’t know how things work. There are a few key things that you will need to remember when going to any kind of auction, whether it is a general, livestock or a storage container auction. With the small auctions you are able to look around, pick things up and really investigate the lots that you might want to purchase. With storage auctions you are not able to properly investigate the unit, only look inside from the doorway. Not only can you attend auctions but you can join storage auctions online via eBay, which is very handy if you are not able to be at the auction yet you still want to bid. To make a bid either raise your hand, or a catalogue and make sure the auctioneer has acknowledged you. Always bid on what YOU think the lot is worth, never try to outbid someone to show off. If you don’t think a lot is worth that much money then just shake your head and don’t carry on bidding. Remember at the end of a storage auction you will need to pay by cash, so keep track of your spending so you don’t go over budget. Auctions aren’t the cleanest places to be, so it is a good idea to wear old clothing when going to any kind of auction. Anything that you buy you will have to carry out yourself, they do not deliver your goods to you, and the items become your responsibility once the hammer has fallen. When attending a storage auction, carry a bright spotlight with you. The light in the storage unit will not be the brightest so if you really want to get a good idea of what you might be buying then this is a good item to have. Make sure that you only buy items that you know you will be able to fit into your vehicle. If you think that you might go away with some large items then you will need to have/hire a van to transport your items home. 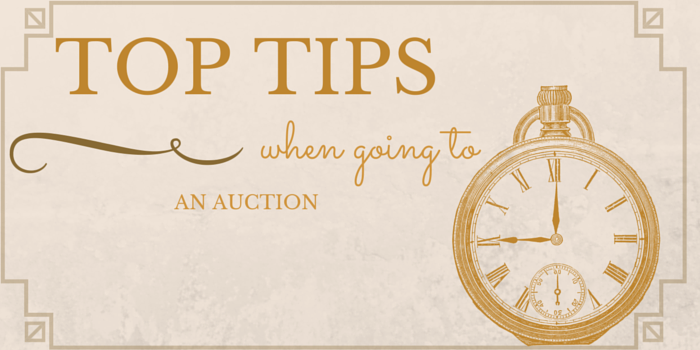 When bidding at a small auction remember that you must take home the items that you have purchased that day, you cannot leave them over night. At a storage auction you have either 24 or 48 hours to collect your items and take them home. With some storage companies they will allow you to rent the storage unit yourself, but this is something that you will need to ask the company to double check to make sure they are willing to do this. Check out our online auctions being held right now!